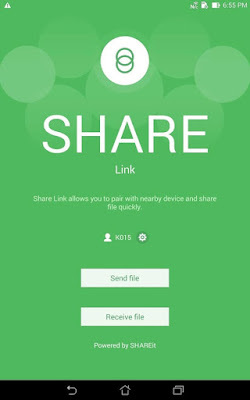 Sharing large files between Android devices without internet is tedious and time-consuming task. Bluetooth has long been used to transfer music, photos and other files between Android devices and PCs, transferring small files with Bluetooth doesn’t take much time but when files are as large as some gigabytes, It might take a few hours to transfer files with Bluetooth. Here, WiFi Direct comes into picture and allow transfer speed of 2-3 Mbps. 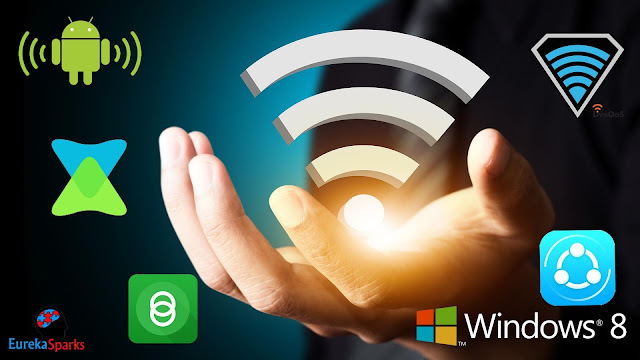 WiFi Direct is rarely used for sharing files since most of the apps need coding to handle the file transfer operation. But there are a couple of apps that take advantage of WiFi Direct to transfer large files through WiFi in just minutes. Connect and do file transfers with nearby PCs upon installation of the Windows® version. By using this app we can share photos, videos, contacts and even apk apps between android devices and between android and iOS devices. One of the main features of this app is “Phone replicate”. By using this feature you can simply transfer everything to a new phone including contacts, app, media files and more. Different versions for different company mobiles are also available in the Playstore. 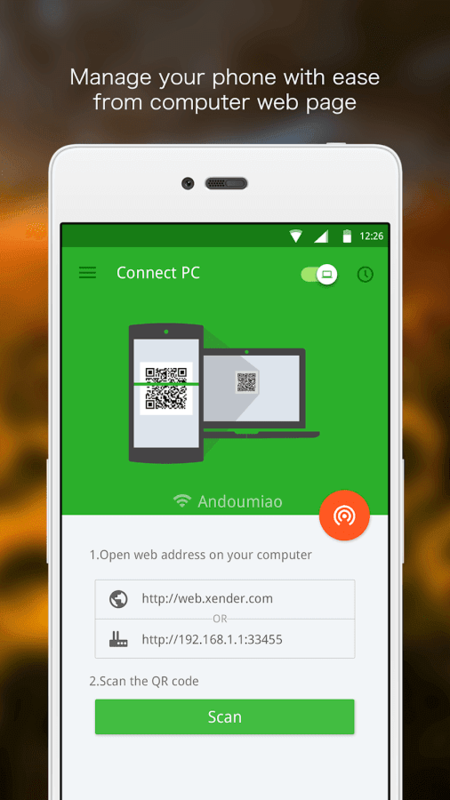 Xender is by far the best app you’ll find for file transfer over wifi moreover it is also one of app that was developed when this technology came into existence .Earlier it was known as Flash transfer. 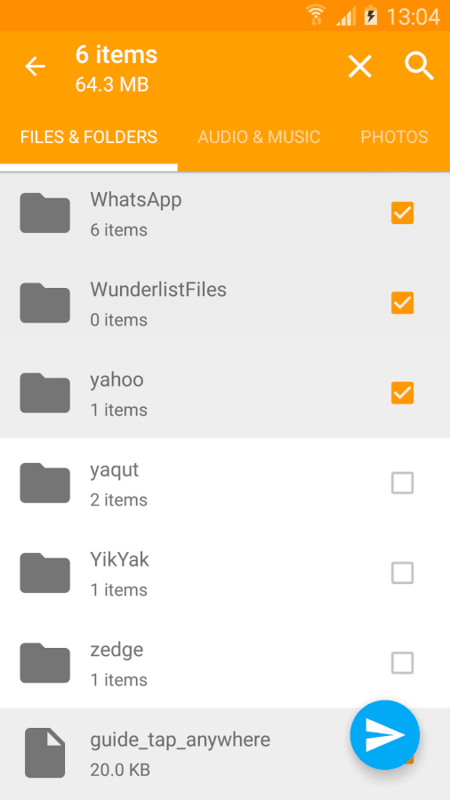 ☆ Transfers everything - files, pictures, music, videos, even apps! ☆ Extremely fast - imagine sending your party video to friends in seconds! ☆ Connects your phone to any PC/MAC - even other people’s, anywhere! 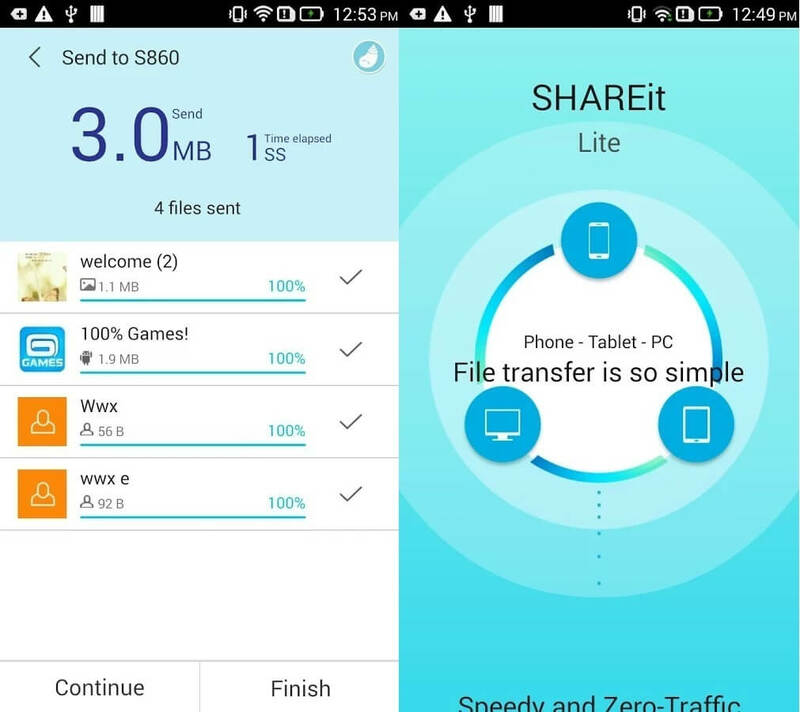 SHAREit app is another wonderful app for file transfer over WiFi .This is a new app and yet the performance is outstanding. I have been using this app in my device to transfer files with my friends mobiles. This is one of the fastest WiFi transferring system available in the android market. This app is available for both android as well as iOS users. Cross sharing is the best part with this app. Now use shareit for windows pc for free from your place. 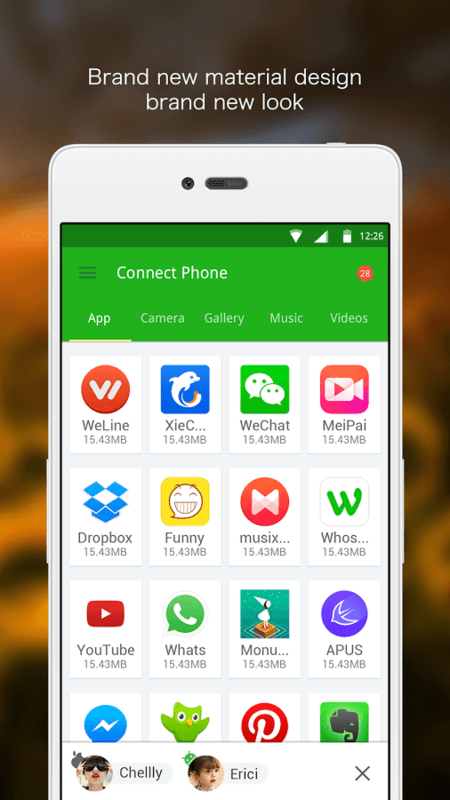 Connect friends without external Wi-Fi or cellular data network. Share whenever & wherever! The best transferring speed is up to 20M/s, which is 200 times faster than Bluetooth speed. 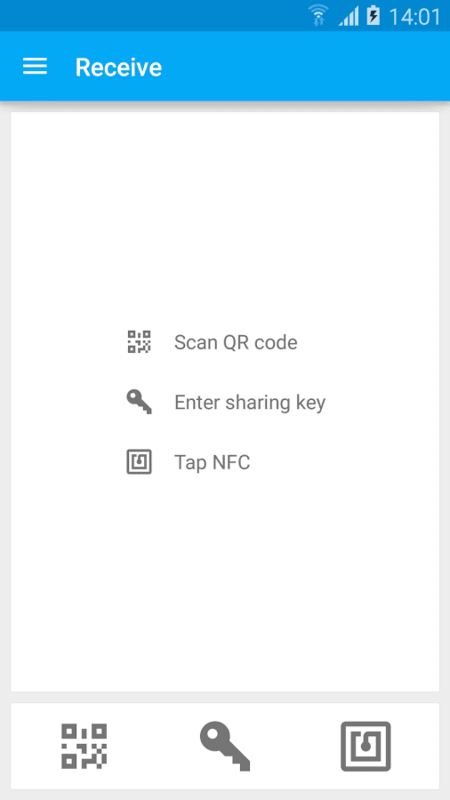 Just forget about NFC, use our super cool SHAREit ! Cross-platform sharing for Mobile Phone & Tablet PC(iPad) & PC, Android & iOS & Windows Phone & Windows XP/7/8. 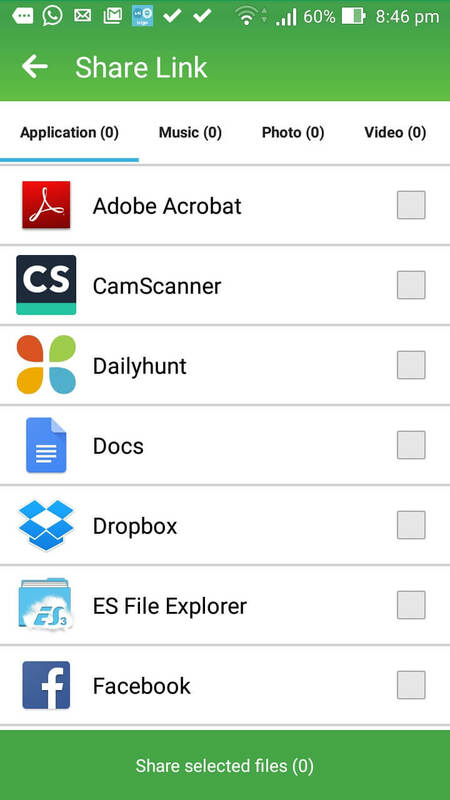 Photos, videos, contacts, apps and everything in SD card, share whatever you like with your friends! Select contents → Connect with friends → Transmission completed! You can easily transfer and back up Contacts, Call logs, SMS messages, MMS messages, Apps, all types of files in SD card and even System settings from your old phone to new one. 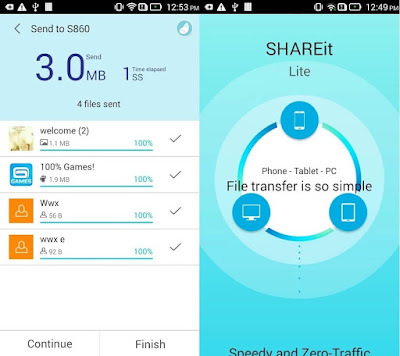 With SHAREit, you can connect to PC wirelessly and view mobile photos on computer screen! SHAREit could control PPT directly. Presentation is not a problem anymore! While connected to PC, you can view any folder and file on PC. Transfer pictures? Play music? Piece of cake! Just click them on your phone. Too many photos in your phone? Need to backup them to your PC? 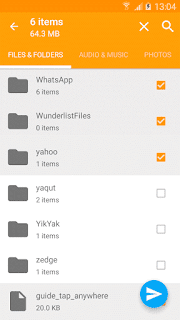 SHAREit helps you backup them once and for all. Superbeam is another must have app to transfer files between Android devices using WiFi Direct. Superbeam allows users to send single or multiple files of any type including your media content files. 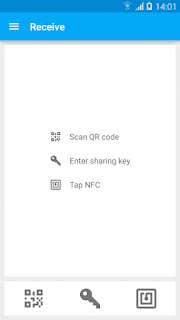 The app uses pairing using QR code, NFC or manual sharing of key. In addition, you can change the download folder in pro version.